A specially selected book…or a Kindle with a few books pre-loaded (see Amazon’s Guide to Giving / Receiving Books on a Kindle for instructions on gifting Kindle e-books) can be an incredibly thoughtful, personal holiday gift! 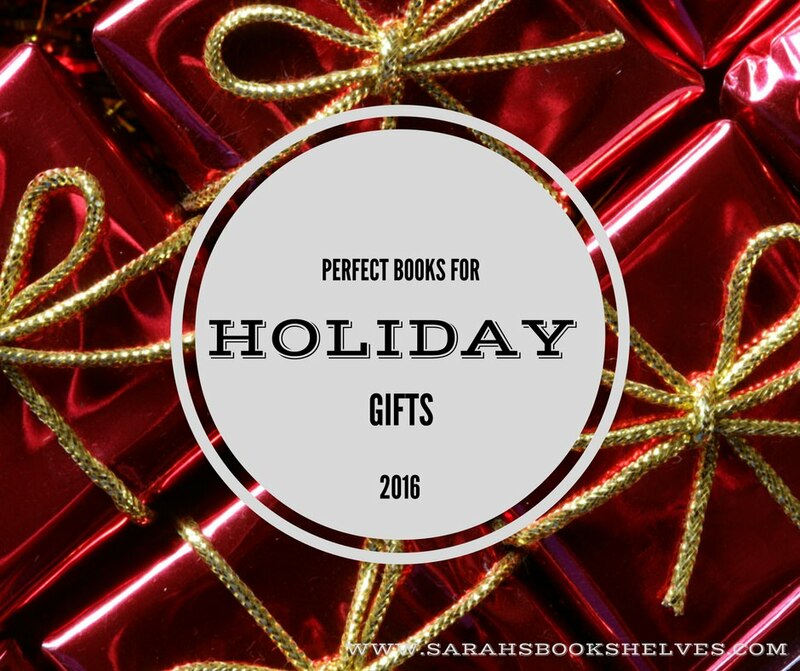 Each year, I compile a list of the books I came across that year that I think make perfect holiday gifts. If you can’t find anything on this year’s list that’s the right match for your friend or loved one, check out my previous lists (2015, 2014, 2013, 2012). 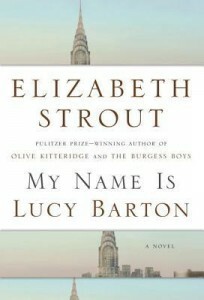 These books have broad appeal and are all-around great selections for most anyone who loves literary fiction. 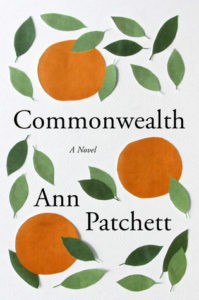 Plot Summary: An ill fated christening party is the catalyst that ruins the Keating and Cousins marriages…and creates a blended family trying to navigate their new world. 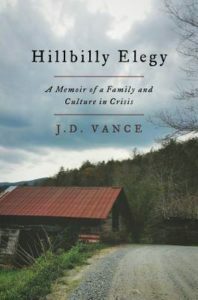 Summary: When Richard (aka “Rocky”) was eight years old, his rebellious older half-brother, Paul, disappears without explanation, setting off a chain of events that impact their family and community in rural Spencerville, Virginia. 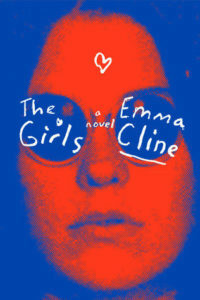 Summary: Inspired by the 1960’s California cult led by Charles Manson, the story of fourteen year old Evie Boyd involvement with an older teenager named Suzanne and her fellow cohorts living a cultish life on a dilapidated ranch. These books are a bit darker and/or tackle more fraught issues than my go-to literary fiction recommendations. Read the publishers’ summaries carefully before choosing one of them for your prim and proper grandmother! 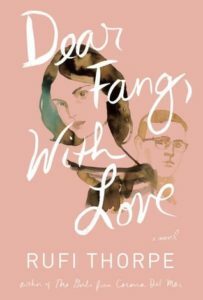 Plot Summary: After a psychotic break at a party, seventeen year-old Vera accompanies her father (who has been absent for most of her life) on an European history tour to Lithuania, where her paternal grandmother grew up. 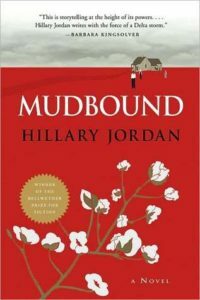 Plot Summary: Shortly after Laura McAllen’s husband (Henry) moves their family to an isolated farm in the Mississippi Delta, her brother-in-law (Jamie) and the son of one of their tenant families (Ronsel Jackson) return from fighting in World War II to the Jim Crow era South. 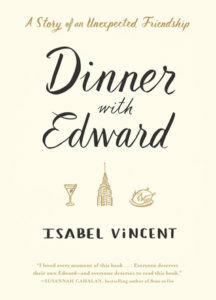 Summary: When twenty two year-old Tess comes to New York City looking to start her adult life, she lands a job as a “backwaiter” at a fictional Union Square restaurant that sounds a lot like Union Square Cafe…and experiences an unimaginable education in food, wine, life, and love. 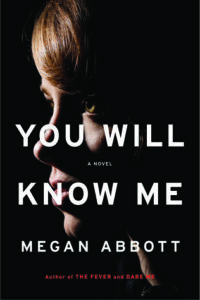 These books are quiet, calm, and comforting…and might lead you to ponder your life. 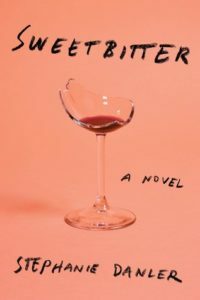 Plot Summary: As a favor to her friend, Valerie, Isabel begins having dinner with Valerie’s elderly father, which turns into far more than just dinner and far more than just helping out Valerie. 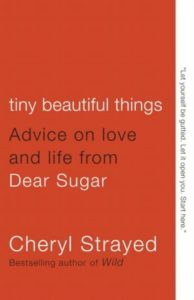 Plot Summary: A collection of the best of The Rumpus‘ Dear Sugar advice columns, authored by Cheryl Strayed (anonymously at the time). My Thoughts: I usually find advice columns cheesy and not particularly relevant to my own life. Trust me when I tell you these advice columns are nothing like that. Strayed is warm, relatable, and non-judgmental in her counsel and most people will find something in this book that pertains to their own life past or present. If you have friends or family members who have had tough years, this is the book for them (as long as they don’t mind a few F bombs). These books are pretty much the opposite of the last bunch. Plot Summary: The aftermath of a bachelor party that married Westchester investment banker Richard Chapman hosted for his younger brother upends the lives of all the attendees and their families. 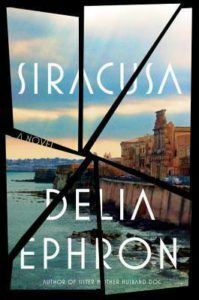 Plot Summary: Relationships are put to the test when two couples (and one couple’s somewhat odd daughter) vacation together in Italy. Plot Summary: A tragic accident throws fifteen year-old gymnastics prodigy Devon Knox and her family’s carefully constructed training plans into chaos. 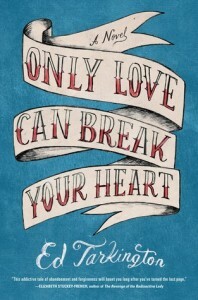 These books are your brain candy. 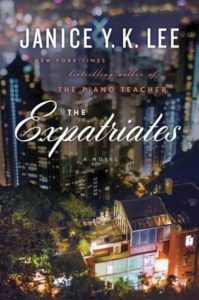 Summary: A story about life as an American expat in Hong Kong told through the eyes of three women: Margaret (a married mother of three recovering from a tragedy), Mercy (a twenty-something Korean American Columbia grad trying to get her life on track), and Hilary (a housewife struggling with fertility). 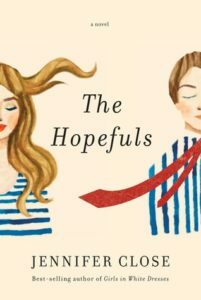 Plot Summary: When young couple Matt and Beth Kelly move from New York City to Washington, D.C. for Matt’s job, they must navigate marriage and friendship in the political world. 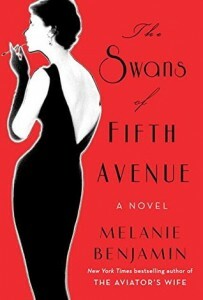 Summary: A novel (wink, wink) based on the friendship between author Truman Capote and his New York City socialite “swans” (i.e. Babe Paley, Slim Keith, Marella Agnelli, Gloria Guinness, etc) and his eventual betrayal of them via the short story, “La Cote Basque, 1965”. Books for people that are into specific things…in this case, restaurants, entrepreneurship, running, and global travel. Plot Summary: Journalist Karen Stabiner follows you chef Jonah Miller as he opens his first New York City restaurant, the East Village Spanish spot, Huertas. 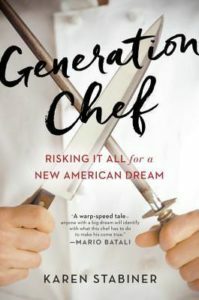 My Thoughts: Generation Chef‘s look into a new restaurant’s first year of life is equal parts food and business book. I particularly loved getting a behind the scenes look at the ups and downs of an entrepreneurial restaurant venture. 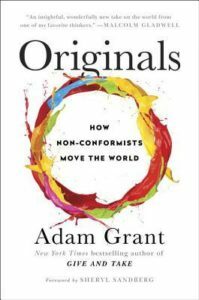 Plot Summary: An analysis of how to get ahead by being a non-conformist…using real-life examples from the worlds of business, politics, sports, and Hollywood. My Thoughts: This combination economic / social analysis, business how-to guide, and “life lessons” book is a must-read for anyone interested in entrepreneurship and contains tons of Malcolm Gladwell-esque data analysis. 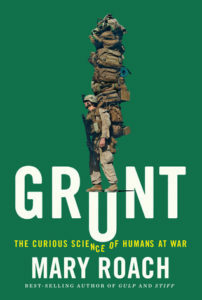 In that sense, it’s far more engaging than your average business book. 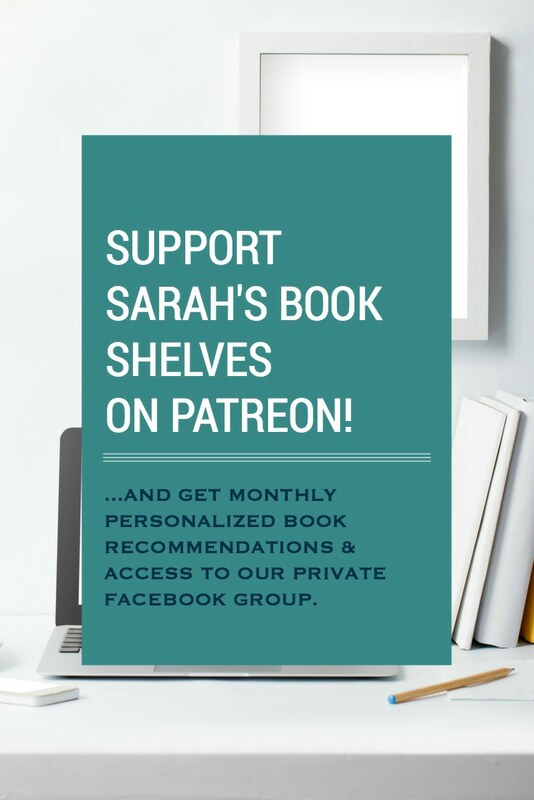 It also has a strangely motivating quality, which left me wanting to try out a new idea for the blog…and having a better understanding of how to go about it. Plus, it’s great on audio! 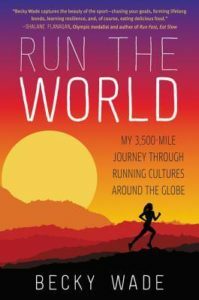 Plot Summary: Following a successful career at Rice University, elite runner Becky Wade used her Watson Fellowship to travel the world learning about running cultures in nine different countries. 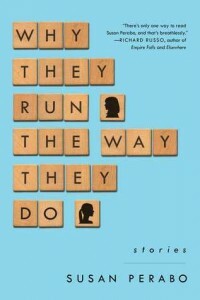 My Thoughts: Run the World is part travel memoir, part sports memoir…with a bit of practical advice for recreational and competitive runners mixed in. I loved learning about different countries’s widely varied approaches to training and about the local “athletes’s” diet in each of them. An excellent choice for friends with the running bug or general wanderlust. Uncovering the secrets behind major news stories. 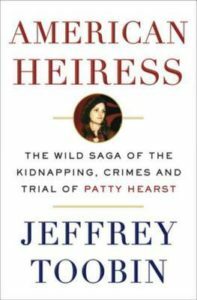 Plot Summary: The true story of Patricia Hearst’s kidnapping by the Symbionese Liberation Army (SLA) and her subsequent trial for bank robbery. My Thoughts: As it turns out, I knew way less about this saga than I thought I did! It’s a truly fascinating story that goes far beyond kidnapping and bank robbery. It covers the political climate of the 1970’s, class warfare, race, Stockholm’s Syndrome, and the media, among other themes. This thing was basically the OJ Simpson debacle of the 1970’s. 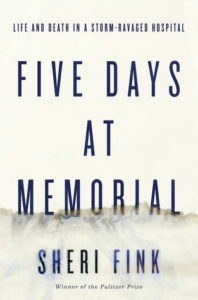 Plot Summary: An investigative report into what happened during and immediately after Hurricane Katrina at New Orleans’ Memorial Medical Center…including allegations that doctors intentionally sped up death for some of the hospital’s sickest patients that they thought wouldn’t survive an evacuation. 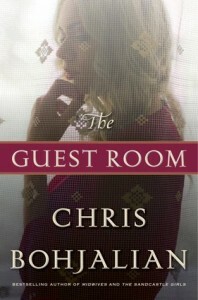 For the reader that’s looking for something a little different. 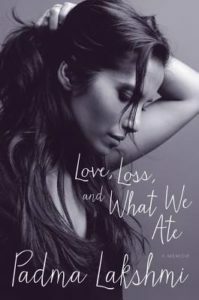 Plot Summary: Model and Top Chef host Padma Lakshmi shares the story of her global upbringing, her love of food, her career as a model and television host, and her personal life. 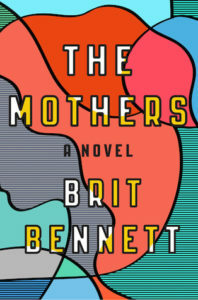 My Thoughts: This memoir has a little of everything: celebrity gossip (including the literary kind), behind-the-scenes Top Chef scoop, her struggle with finding a balance between her Indian upbringing and her American life, her struggle with weight (believe it or not, she actually had one), and her struggle with fertility and endometriosis. This lady is not just a pretty face! 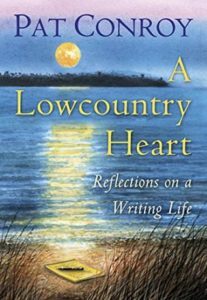 Plot Summary: A collection of Pat Conroy’s writing on a range of topics (including letters to readers and thoughts on reading, writing, and beloved friends and family) and his most popular speeches and interviews. 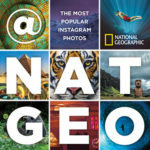 Summary: A collection of the most “liked, commented on, and favorite photos” from the @Natgeo Instagram account. My Thoughts: This coffee table-type book would make a fabulous gift for travel, nature and/or animal lovers…big or small (we’re getting it for our 5 year old animal fanatic son).